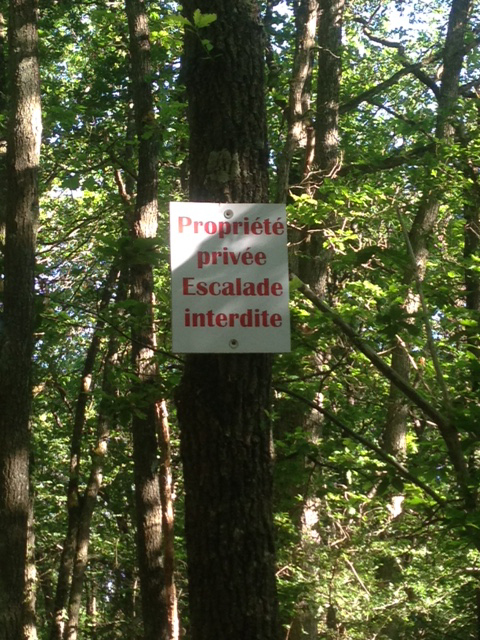 This sector is located on private property where climbing is no longer allowed. Please respect this interdiction! This small and quiet area has been very active in 2012-2013, thanks to F. Buc and G. Cottray who have completed the old yellow PD and blue D circuits by an orange AD, a red TD and a black ED circuit. Access : from Milly, take the D105 in direction of Boutigny and at the signpost "Le Pressoir", turn to the left in a small road and park the car. Follow the GR up to a crossroad of 5 paths. Take the first one on the left and turn left again after a fork. It is also possible to come from above by parking the car along the D105 at the last bend to the right before the descent (old road).